Since its takeover in 2014, Channel 5 has steadily been working on rebranding. 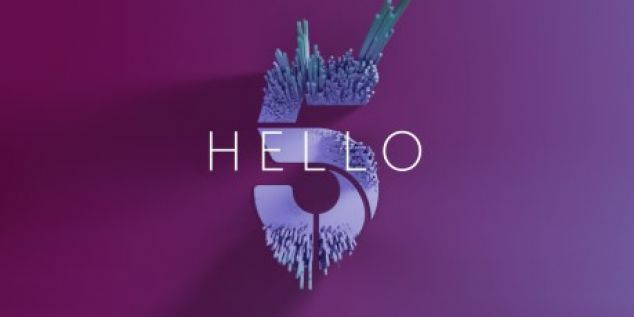 The new Channel 5 has been designed with its past in mind, aiming to shift away from its traditional position and focus on the present of creativity and diversity that best emulates their current show offerings. The new look can be seen as a way to target the 16-24 age group, admitting that their past efforts have ended in failure. “The new design and creative reflect the breadth of content that Channel 5 encompasses while strengthening our position among ABC1s and the 16-34 year old audience. If we can strengthen there, we will ultimately be more attractive to advertisers”. Not a bad decision to make considering they have had a good start to the year with their highest showing of the X Files on Monday 8th February reaching 3.35 million views. More of that and Channel 5 could be on a way to a positive year.